Rightly or wrongly, the thought of wearing a hearing aid that other people can see is enough for people to avoid taking the steps to address their hearing loss. Unfortunately, this also means they are not returning to the quality of life they enjoyed before their hearing started diminishing. This has led manufacturers to ongoing work in the area of circuitry miniaturization and new classes of hearing aids has arrived that can be described as truly invisible. Although there are no switched or buttons to control hearing aid they adapt automatically as listening environments change. It is important to mention, however, that these solutions are not suitable for severe hearing losses and particularly narrow ear canals. 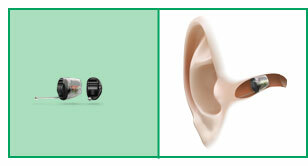 In addition to Deep Ear Canal hearing aids, people can now also enjoy the virtually invisible range of fully featured Receiver in Canal hearing devices. 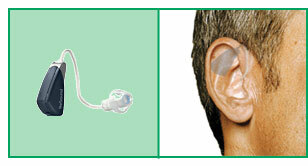 With these devices, only a very thin clear tube is visible that passes from a tiny case that sits behind the ear to a receiver that is positioned inside the ear canal.